The Flame in the Flood, FREE at Humble Bundle! 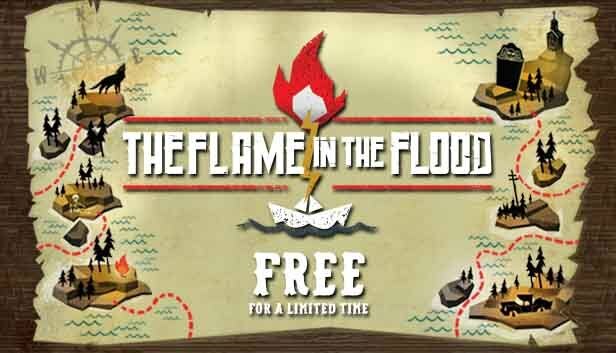 For the next 48 hours, you can get The Flame in the Flood for FREE at Humble Bundle! FREE in the Humble Store until Saturday, May 12 at 10 a.m. Pacific time. We’re bringing Warfactory back with a series of online gaming servers and community hub (this site). And while we may not have any intent on throwing “large” scale LAN events. There’s no reason why we can’t throw a LAN party here and there. But we need members to help make this possible, and admins to help run the online servers. If you’re interested in getting involved to see if we can revive this beast, then please PM me. And by all means, if you haven’t created an account yet, please do! 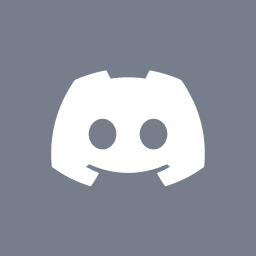 Also, join our Discord server, our Steam group, and our Facebook group. We really want to revive this beast, but we need your help! If you missed Warfactory’s first event of the year, here is a quick slideshow to recap! We all had a blast at this event doing everything from Counter-Strike, Half-Life DM, to Halo 3 and Gears of War 2. Remember that Warfactory is here and ready to work with you at your event as well, so if your High School, College, or other organization wants to do a gig like this … just e-mail or call! Warfactory will be planning Summer events so stay tuned for more! CS:S at Webster-Strike – Special Rate for Warfactory Teams! Good news gang! Warfactory is coordinating a CS:S tournament Webster-Strike, but we need your help! Our hosts are extending a special rate for full teams of $10/person. This means you need to have five team members please. Warfactory is providing the networking and resources needed to do this event at our expense … call it our “economic tournament stimulus package”, but if you want a good cash tournament here’s how you help! Let your friends who play CS:S know about this event and have them do the same! We’d like to see at least four or five teams step up to make this worthwhile, so Source players this is your only chance to make it happen. We have one team ready to go and hope to hear from more of you soon (first-come-first-serve up to capacity)! Remember, there’s more than just CS at this event so check out http://www.wucclub.com/lan for more details! March 29th is coming soon! Webster-Strike – Powered by Warfactory! Posted in: News. Tagged: warfactory lan 2009. Warfactory is proud to announce its support of Webster-Strike, the Webster University Computer Club’s first LAN effort. We are contributing networking equipment, servers, and of course our years of experience to make this effort a success. For you Warfactory guys out there … there is limited BYOC seating available (up to about 30-40 seats) so if you want to attend, make sure you register now! Also, Warfactory will be happy to manage your own tournaments … if you want to bring your teams and compete please contact us asap! Looking forward to this one and remember, if you want your own event Warfactory is there to help! Want More LANS? Here’s How to Make Them Happen! First off, we’ve prepared a short survey which will help us to retool. If you’ve got a few minutes, please click here to fill out our LAN Party Survey … this will give us important information to cater to your needs as gamers! Second, we will be working with the Webster University Computer Club to help them with their first-ever LAN. This will be held on March 29th, and more details will soon be provided. You can see their website here. This is DIRT CHEAP guys, and Warfactory is providing all the equipment and expertise to run a great LAN. Everyone is invited, so let’s fill the house! Finally, the thing that we want to express to the entire St. Louis Community (and even beyond) is that Warfactory is here to help. Want to run your own LAN at your High School, College, or University? We have a “turn key” solution and can make that dream a reality. You provide the space and power and we’ll build a great LAN together! If you need a webpage, we can even help to provide you with one (free of charge if you qualify) so you can put up a site for your LAN (you have to have your own domain, of course!). These are hard economic times guys, but there is nothing better than getting together with a group of your friends and gaming all day and night on LAN. Warfactory has held St. Louis’s BEST LANs for 10 years now and we will continue despite the recession. We just need you to help keep the great events coming! Posted in: News. Tagged: warfactory 2008. Thanks to Jacob Chaney of Webster University we have a pretty cool video about the event. This was done as a school project with an interview, hence me talking a lot. History aside, there’s a lot of good shots of those of you who attended and best of all Chee’s soon-to-be-famous “shut down a bomb site” speech at the end. Thanks Jacob, and of course all of you who attended Warfactory 2008. Let’s hope gas isn’t $4.00 a gallon come time for the next LAN! This may go under the radar of a lot of gamers, but as of today we’ve just heard that the Championship Gaming Series has shuttered the doors proclaiming itself as “an idea whose time came too early” . I wrote a brief article about the Death of the CPL earlier this year and we’re now seeing a pretty disheartening trend for the competitive video game industry.